December in Paris is not nearly as lovely as April in Paris, but the food remains delicious and the vistas from the Eiffel Tower are still worth the climb. But once again our invites were lost. Wouldn’t we all like to be consulted about “The World We Want” instead of merely picking up most of the bill and being told how we must change? But no, UNESCO and UNICEF held a Thematic Consultation meeting on December 5-6, 2013 of the North American States, Western Europe, and Turkey to lay out the Post-2015 Development Agenda and left us out of the room. Unfortunately, we and our children remained very much on the agenda. 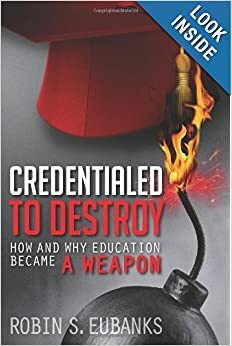 In case you are thinking that “someone’s” participation as speakers or attendees is no reason to assume US or Canadian or UK ed policies are actually being determined abroad and most definitely no longer at the district or school levels, how would you feel about a link to the US DoED first ever “International Strategy”? Published in November 2012 just after someone got reelected and apparently we all shifted into a whole new level of planned implementation. http://www2.ed.gov/about/inits/ed/internationaled/international-strategy-2012-16.pdf And I scoured that document and I can see we agreed to work with the OECD as to what is meant by “internationally benchmarking” what is going on in our schools. We also signed on with international labor representing teachers’ unions globally, but there was nary a mention of the Common Core. Just like it was merely a ruse to get US schools on board with the OECD’s Great Transition we have talked about (and mourned over the implications of). It also mentions though a great deal about Quality Learning and Equity and Global Competency and 21st Century Skills and working with Brazil to Eliminate Racial and Ethnic Discrimination and Promote Equality. It shows such openmindedness that an open socialist orientation in one country is no longer a barrier to a Joint Action Plan. It’s also so nice to see the US commitment to participation in all those international assessments that were actually created to drive global convergence around the Great Transition/Time to redistribute based on Uncle Karl’s vision of the Future. All put into place through education changes driven by poorly understood international assessments. No, that’s not my opinion. I have a copy of Torsten Husen’s The Learning Society where he laid out what these assessments were actually evaluating, and what the intentions were. He helped create them all. Based on that Brookings Institute link in the last post Husen would be so pleased that the non-Scandinavian countries are finally going along with his desire that “educational planning must be integrated with social and economic planning in general.” Honestly, from just the documents I have read in the last few weeks, I am not sure there is much now not being planned on our behalf in any of these areas. And I know for sure that in the age of the Whole Child Initiative and the social and emotional learning/Positive Behavior mandates that Husen’s desire to put “more stress on the emotional life of the children” is definitely part of the current gameplan. It’s been almost 40 years since Husen wrote that book (1974), but we had already noticed that the underlying vision never varies. Oh I do hope we are not first on the list for some reeducation to drop our attachment to the Unitary Self as john a powell disdainfully called it. Then there was also the thematic discussion on Global Citizenship Education (which apparently will not be celebrating its foundations every 4th of July). GCE “aims to empower learners to engage and assume active roles both locally and globally to face and resolve global challenges and ultimately to become proactive contributors to a more just, peaceful, tolerant, inclusive and secure and sustainable world.” With unicorn rides every other Friday afternoon. Please note that “youth is a particularly important target group” for GCE. Target group? Could we get more of an admission of propagandist intent via the schools and universities? Then we also have “Quality of Education and Learning Outcomes.” Remember outcomes always has to do with behavioral or personality changes in the student, and it should greatly trouble us that the UN is deeply interested in this regard in “the new digital platforms on which teaching and learning are taking place and through which knowledge, skills and values are developed, transmitted, validated, and applied by young people.” And we parents and taxpayers may not be able to see what will be assaulting our students and what virtual worlds they are to be embedded in for much of their school time, but apparently UN personnel may have better luck. Checking out the potential for the unfiltered indoctrination of politically desired new values, attitudes, and beliefs thought to be amenable to global transformation. We would be worried if any of these entities had expressed intentions about wanting radical change. Oh, wait. Ooops. Actually I suppose we should be grateful that the ruse surrounding the Common Core in the US as an excuse to cover up the sought radical changes in student perceptions about the world and their future has increasingly come out into the open. The links clearly go far beyond the accreditation agencies’ loyalties now and where Linda Darling-Hammond is jetting off to speak at. I want to finish this post with a British Professor who reaches out to all sorts of names and entities to describe the extent of the active coordination throughout the Anglosphere. His name is Guy Claxton and this was the 2006 Keynote Address to the British Educational Association’s Annual Conference. Called “Expanding the Capacity to Learn: A New End for Education?” the speech gives us the answer of why the US in February 2013 added Dispositions to the list of what it would mean to be College, Career, and Citizenship Ready. So I think all the references to College Ready, Citizenship Ready, Standards for Career Readiness, etc. as the preferred euphemisms for the Common Core are not about getting students ready for the world and those institutions as they currently exist. All the references to Standards of Readiness seem to be getting at whether the student has developed a willingness to act and to “persist in the face of difficulty.” Let’s call it Grit and Perseverance for short. At least the new Principals and District Supers are being told their credentials are issued to enable them to be Social Change Agents. We are apparently about to embark on the creation of a huge corps of social change agents who are not being told what is being sought. Who ARE being targeted on the basis of what remains malleable to change. Who are being trained to act despite confusion and to keep at it whatever the immediate consequences. We are going to come back to this next time as I have the new international Quality frameworks and they leave no doubt about the extent that it is student behavior being targeted. We know why now. And how. We need to examine the methods next. Two posts ago I mentioned I had one more equity event to attend as I listened in person to the blueprints of intended transformation for all metro areas, not even just the US. So December 4, I attended the roll-out of the Harvard Equality of Opportunity Project at a meeting of the Atlanta regional Housing Authority. Among those special guests recognized by name at the event were the Metro Atlanta Chamber of Commerce, the group that had just put out that Metro Atlanta Equity Atlas I have written about, and the head of the Georgia Partnership for Excellence in Education. Apparently I am not the only one who gets that all these entities and terms are linked in a common transformative vision of the future. As I have been attending all these events or reading mentioned books like White Flight, it has been hard for me not to notice the extent to which beliefs in things that are not so, or which did not happen in the manner described, are being presented as fact. One of the points made at the Wednesday event by representatives of an entity, Georgia StandUp, with ties to ACORN, complained of the still present “plantation mentality.” That this was the reason it was hard in metro Atlanta to move from the bottom percentage of income earners to the top 20%. Now I can be a pretty serious nerd, but we are not going to have that kind of policy discussion. I was struck at several of these events, however, about the myths about money and power, and who has it and how they got it, that are taken for granted by speakers or audience members. It is as if everyone believes that only predators prevail, and they now want governments to step in so various groups can supposedly take their turn being a predator and dictating who can do what, and where, and with whom. Treating society and the economy and people like we actually are a plantation in need of new owners and overseers. “In almost every period of human history, people’s circumstances were fixed at birth…The miracles of the past three and a half centuries–the unprecedented improvements in democracy, in longevity, in freedom, in literacy, in calorie intake, in infant survival rates, in height, in equality of opportunity–came about largely because of the individualist market system developed in the Anglosphere. And we are now using education reforms like those new civic values and regional planning and new visions of reforming Workforce Development and Human Capital Policies to throw it all away. http://www.brookings.edu/~/media/research/files/papers/2013/12/04%20workforce%20development%20jacobs/fedroleworkforcedev.pdf We have lots of people in power who clearly believe the myths of still dominant racism they were taught to foster a sense of grievance that cannot be extinguished until capitalism goes. With no idea of how much they have been relying on its fruits. These quotes were in a Chapter called “A Fascist and Communist view of the function of the American school” in a book by Professor Clarence J. Karier. I noticed the strong resemblance between what was described there and what the actual Common Core implementation is looking like and the rhetoric being used. As Karier noted when he wrote the book in 1967: “The end clearly justifies the means for each group. If myth satisfies the irrational need of the masses in a mass society and if it serves as an efficient vehicle of manipulating the people, then both would use it for their own purposes.” And that’s still the case even if those who hold such a view of education run under the banner of a mainstream political party, or work in aid of a regional planning authority or taxing district. Lots of ways to effect these same ends while masquerading as a moderate or even a conservative. At least the ACORN affiliates are not masking what they pursue. McGirr used Orange County, California as the “lens” for examining the Conservative movement, and the legitimacy of the suburban vision, and ultimately the President they helped first promote as a Governor, Ronald Reagan. In her chapter on “The Conservative Worldview” McGirr complained of hostility “toward liberal ‘equalitarianism’ and conservatives’ skepticism about democracy. She illustrated that ‘radicalism’ and ‘right-wing rhetoric’ by pointing out that conservatives noted “marked distinctions between a republic and a democracy and emphasized that the United States had been founded as a republic.” Such an outrage to actually be familiar with formative documents like The Federalist Papers one can assume will remain unassigned in McGirr’s courses. She also complained about libertarians who “express deep dismay with the voting process, seeing it as a means for the majority to coerce the minority.” Which is kind of funny given how often I read now of the intention to force the minority to submit to the vision of the common good developed by the voting majority. McGirr also consistently pointed out the irrational, apocalyptic “fear of communism” with “elements of conspiracy theory.” Unfortunately for her, I have an increasingly large collection of people operating in California and elsewhere in the US, especially the Ivies, in the time she is writing about who essentially bragged about what they were up to and who they were actively coordinating with. There may have been loony conspiracy theorists in Orange County, but there was also a great deal of transformative activity being pursued. McGirr’s Harvard undergrads may believe that such fears were nuts and thus that Conservatives are too, but it is sloppy as factual history. Since McGirr regularly mentioned the work of Harvard sociologist Daniel Bell and what he wrote in his 1963 book The Radical Right, I do not think any of the ‘myths’ about the Right and Orange County and the 1960s legitimacy of anticommunism is an accident. It reads under the now known facts like intentional misdirection. I guess if you want transformative change the needs for plausible myths abounds. Unfortunately again for Professor McGirr I have read and written about Boulding’s 1962 The Great Transition and Bell’s Commission on the Year 2000 report and his view of The Post-Industrial Society and also the World Order Models Project. None of these leave any doubt about the sought little c vision of world federalism and redistribution being sought. Orange Countians, in other words, had real reasons to be paranoid. But today’s students are being taught it is all myths and people creating a “cast of villains” in order to preserve their own “way of life and a set of power relations in American society” that had been beneficial to them. Fascinating that the used definition of ideology is precisely what education, and the myths it is now trying to consciously cultivate, are targeting. In preschool, K-12, college, AND grad school. With all these myths abounding we can appreciate why actual facts and modelling reality are out. And emotional imagination and online gaming is in. As I go back and forth comparing what is being pursued and implemented now with the stated intentions for the policies in the past, a 1974 book from an economics professor at the New School for Social Research kept coming up as the source. So of course I went used book surfing again to get a copy of Robert L. Heilbroner’s An Inquiry into the Human Prospect. Heilbroner gave the rationale for governments to hype potential future crises like man-made catastrophic global warming. It gives a reason to revisit, out in the open or covertly, “present mechanisms of social control.” If the dangers being hyped are social problems then they “originate in human behavior and [are] capable of amelioration by the alteration of that behavior.” Since Daniel Bell who we have encountered numerous times now, Paul Ehrlich, and the current White House Science Czar John Holdren are all people Heilbroner thanks up front for their help in writing the book we need to pay close attention to what he sought. Now of course altering and controlling other people’s behavior is what political and social radicals interested in fundamental transformation basically lust after every waking hour and in many of their post-midnight dreams so we cannot be surprised 21st Century skills wants to make such a focus of real-world relevant problem-solving. Now, Heilbroner, like the current director of UNESCO or the OECD, makes no pretense of his desire for what he calls “socialism with a humanist face” and he was upfront about the kind of “boldest and most far-reaching exercise of political power [that] will be unavoidable in the future.” That future of course is the 21st century and what we are living through now all over the world at local, state, national, and global levels except no one is really willing to be upfront about all the machinations lest we all rebel before they are fully in place. Just my research over the last week led me to write this little ditty laid out to the tune of “Jesus Loves the Little Children of the World” you may have learned from Vacation Bible School. “Red and Yellow, Black and White, You are All Just Serfs under Our Oversight” fits with this determination to use education to manipulate emotions and perceptions and limit knowledge and then use political governance arrangements to tell people what they cannot do or must do in the 21st century. These arrangements such as that Metro Atlanta Equity Atlas or all the real Common Core implementation pushes and the Regional Equity pursuits need to be implemented quietly until they can accomplish the needed changes in personality and values and attitudes and dispositions. Why the constant focus over the decades on these affective characteristics? Now the little ditty I composed above got its impetus in part from what Heilbroner wanted but it also comes from the Atlanta Regional Competitiveness Strategy http://www.atlantaregional.com/File%20Library/Local%20Gov%20Services/Econ%20Dev%20Strategy/EconoDev_ExecSum_2013.pdf that came my way last week as it spoke of the entire 10 county Atlanta region pursuing a common education policy and pushing transit oriented development and a “unifying theme of cooperative leadership across economic sectors.” I ran into mentioned people tied to the Equity Atlas and the accreditor AdvancED and higher ed transformation and a partner of the law firm that drafted the duplicitous conversion charter that also represents quite a few large metro school districts and reps from planned anchor institutions in the sought Good Society and sponsors of forums for elected officials telling them to defer to school supers. Just a few of the names or entities I recognized. Hard not to think then of Heilbroner’s comment about submission to political power or Moises Naim’s declaration in his March 2013 book that we are all to adjust to being governed. Especially when the regional ed campaign obligates to “integrate best practices and innovative programs into PreK-12 classrooms throughout the region.” As we have seen innovation these days always actually means sociological innovation and ‘best practices’ is a term of art that means political or social theories thought to allow for fundamental transformation of a radical nature. Kind of like what Heilbroner intended. I have to admit I wasn’t excited either about the goal to “adequately prepare the region’s students and workers for 21st century skills and careers.” How Corporatist and mindless that sounds. I was tickled though by the idea of the best and brightest college and graduate students from the region’s institutions being encouraged to “network through public service.” Apparently all these planners see the public sector as providing the best job prospects in the 21st century. Now my mention above of the antipathy towards Sandy Springs and its 1966 vote and the hatred for affluent suburbs all came from a 2006 book by Matthew Lassiter that was part of the same series on 20th century American life as White Flight: Atlanta and the Making of Modern Conservatism. The Silent Majority: Suburban Politics in the Sunbelt South lays out precisely what was actually sought via desegregation and it was not limited to the South. Atlanta though is treated as being the “model of metropolitan divergence and regional fragmentation, emulating the national pattern of increasingly poor and heavily minority urban populations surrounded by overwhelmingly white and politically autonomous suburbs.” I think that regional plan above is what radicals want to use to get regional collaboration without the consent of the taxpayers while still keeping lots of school districts and cities and special tax districts in place to serve as lucrative jobs programs for people willing to push the desired programs. Of the kind Heilbroner and others had in mind. I am not done yet as I have another event to attend this week related to this but my point is what is being sought and how most of these relevant and binding activities affecting all of us are going on out of sight. Unless you are like me and deliberately monitoring and watching and appreciating the significance of the language you encounter in official reports.